Thanks to you, Moranda Minds has been nominated to the Top 3 for Best Computer Store and Top 6 for Best Computer Repair with the Monterey County Weekly! It is because of your amazing support that we have made it this far. Thank you! It would be an incredible honor to win the title of Best Computer Store and/or Best Computer Repair. Please, vote for us in the Best of Monterey County Readers Poll 2017. We have been proudly serving the Monterey Peninsula since 2009 and look forward to many more years of committed, friendly service. Voting ends Thursday, February 23, 2017, and final results will be published in the March 24, 2017 issue of the Monterey County Weekly. Quick Tip! The Monterey County Weekly requires at least 20 votes to submit your ballot and one vote per page. You’ll find Best Computer Repair & Best Computer Store on the final page. We’ve Added Two New Team Members! Paul brings more than 10 years of computer repair experience to our team and has a sixth sense when it comes to troubleshooting systems. He truly is our wizard behind the curtain. Manny’s big smile and friendly demeanor will instantly make you feel welcome at Moranda Minds. He also joins our team as a computer repair technician. We are incredibly proud and honored to have them as part of our team. 2017 is going to be a very exciting year for the Moranda family! 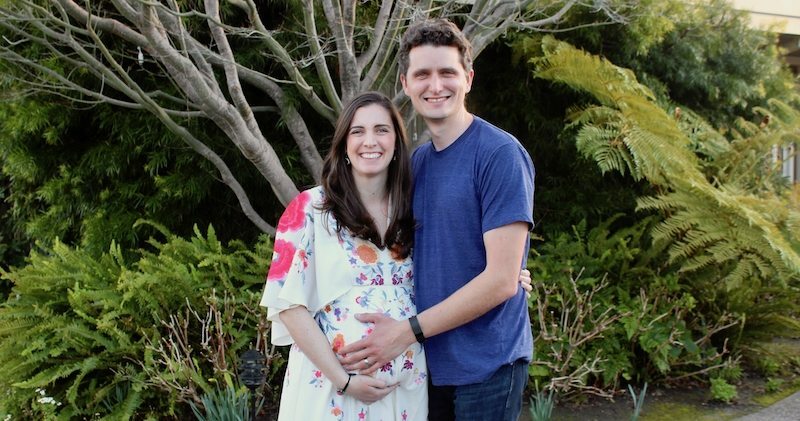 Dustin and Ashley are thrilled to be welcoming their first child in March. Any guesses on boy or girl? They have decided to wait to find out what they are having until the baby is born. Surprises are too much fun! Laptop computers are one of the most fragile pieces of tech you’ll ever buy, but they also receive the roughest treatment. 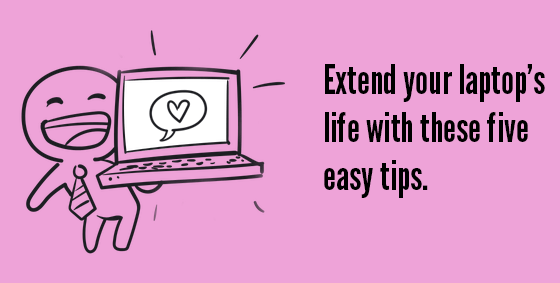 Extend your laptop’s life with these five easy tips. 1. Avoid sharp movements during use: While some newer laptops have a solid state drive with no moving parts, many laptops still have mechanical drives which work a bit like a record player. It has a head which is like a record player needle, and a data storage platter like a record. The head hovers just microns over the surface of the spinning disk and a knock can cause them to collide. Just like a deep scratch on a record, whatever data was on that section will be corrupted and lost. Make sure you always power down the laptop before moving it or packing it away. 2. Keep it cool: Your laptop has two sure ways of telling you when it’s too hot – the fan and auto-shut off. Each component in your laptop is generating heat, and the harder it’s working, the more heat each creates. The fan runs to blow that heat out the vent and keep the components cool enough to continue operating. Because there’s no clear temperature indicator, your fan volume is the best guide to monitoring laptop heat. While the laptop is working hard (and getting hot), the fan will spin faster and louder. It’s not uncommon for it to sound like a hair dryer at times! Help it out by keeping your fan vent clear of books, blankets, and other blockages. 3. Respect the cords: Inside those robust looking power cords are a bunch of delicate wires, begging you to be gentle. You’d think they should be able to take a beating, get bent, twisted and run over with chair wheels, but unfortunately not. Keep cords clear of sharp or flat-edged items, and when wrapping for transport try to mimic how it came out of the box. Wrap the cord gently around itself or the power adapter and secure with Velcro or similar. 4. Carry it in padded style: Look for a bag that not only fits your laptop but also provides padding. Your system will endure countless bumps and bangs as the bag is moved around, even with careful use. Ideally your bag has bottom, side AND top padding, as well as a waterproof outer. If bags aren’t your style, look for padded or hard-shelled sleeves. 5. Back it up: Laptops give us fantastic mobility but as mentioned above they’re quite fragile. While a backup won’t make your laptop components last longer, it will make minor repairs that much easier. You’re more likely to take it in for a service if your data is accessible elsewhere, and of course, in the event of accident or theft, you’re fully prepared. Consider an off-site backup for additional protection, so no matter what happens with your laptop you still have your important files.